OPEN TO MYSTERY, EXPLORE LIFE’S DEPTH DIMENSIONS, and DEEPEN OUR FREEDOM. Individual sessions are held in person in my home studio, or can also be arranged using video conferencing over the internet with http://www.talky.io or Google Hangouts. If preferred, we can also work by phone. I have openings for one on one sessions for discernment, dream analysis and appreciation, accessing life’s Depth Dimensions, and/or exploring creative spiritual practice. 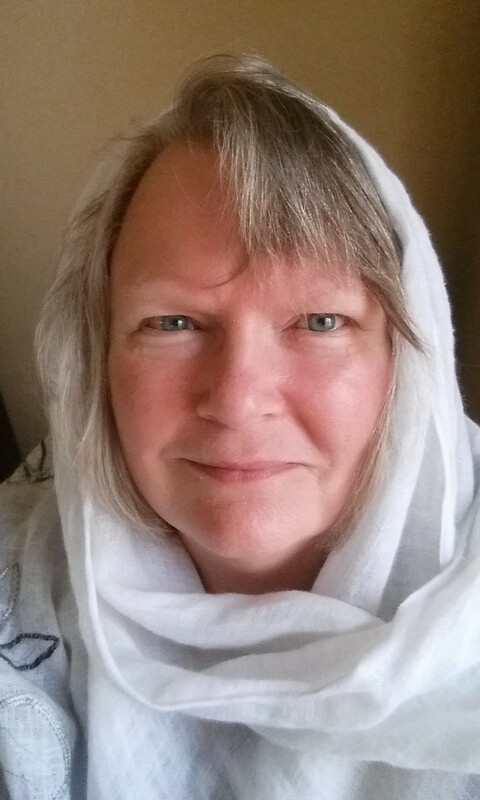 I am an educator also trained and experienced in counselling, spirituality and theology, and creativity coaching. Our sessions are between 1.5 and 2 hours and usually include both image and word. $100, or $250 for 3 sessions booked at the same time. My soulwork is to assist others to find and articulate through word or image their own life’s wisdom as they have lived through and with the paradoxes that life has handed us. I am an educator, artist, and counsellor in life’s depth dimensions where I serve as companion, witness, resource, guide, and mentor using the methodology of Intentional Creativity. Are you interested in exploring creativity, using it as a way to access the deeper parts of yourself for growth or for discernment and decision-making? Are there issues in your life that just never seem to go away, yet you still want to change what you can while living more peacefully with what you cannot change? Are you at a crossroads or transition point in life? Do you want to explore and deepen your spirituality, or are you in the midst of questionings and doubts? Do you have a project you’re working on, but need some support in planning, organization, or keeping it going? Intentional Creativity is a process of inquiry, transformation, and manifestation in which we use pen and paper, brushes and paint, and other simple writing and art processes to undertake a journey into our inner selves, expressing our own stories and symbols of our inner lives into a material reality onto paper or canvas. This “mirror” of our inner self can then continue to act as catalyst and guide helping us to enter ever more deeply into our own life’s depths, helping us come to peace with where we’ve been, and helping us to make meaning from our past as we move into an ever more intentional future of dancing with reality and creating our lives. For years, I have been conducting small group workshops and individual sessions in counselling, mentoring, and Intentional Creativity. I am now excited to be expanding my reach by offering individual sessions through video conferencing online or by telephone. A session with me usually includes both word and image, using simple art processes, writing prompts, reflection and silence, deep listening and talking, guided visualization, and creating intentions. I ask questions that shift you to a heart level of listening. I find that the more we can use both the image-making parts of our brains in cooperation with our language-making parts of our brains, and tap into more of our senses, the more deeply the insights can come. Almost all of the Red Thread Session I offer on my Offerings Page are adaptable to a session with an individual rather than small group. I have a list of more than a dozen processes which others have already found to be transformative, reflective, and enjoyable. When a person contacts me, I respond with a variety of options for our sessions, and enter into a dialogue as to which might be most helpful at that time. At the same time, I customize processes for people who come to me, and design new processes that address whatever concerns come up for each unique person with their own unique questions. I help people to explore life’s depth dimensions, open to mystery, and deepen the freedom with which we live our daily lives. If we listen, we long to come home to our own way, to our own patterns, to our own psyche, our own soul, to our own deep desires and callings. Sometimes it’s really helpful to be accompanied in this work of a lifetime, to have a witness, to access some guidance and support, to get some mentoring. We can move from where we are to where our souls want to be. And we don’t have to do it all alone. In our sessions, you are in the driver’s seat while I offer suggested navigation, and serve as resource and companion. I call our sessions Red Thread Sessions in honor of the red thread that connects all of our lives — literally through our simple red thread ceremony, and figuratively through our shared human experience of blood, life, passion, energy. Every session is unique, one of a kind. creating the life that you would love through living and expressing true self. I offer a unique style of education and mentoring. Please note that I am not a licensed therapist nor a psychologist. 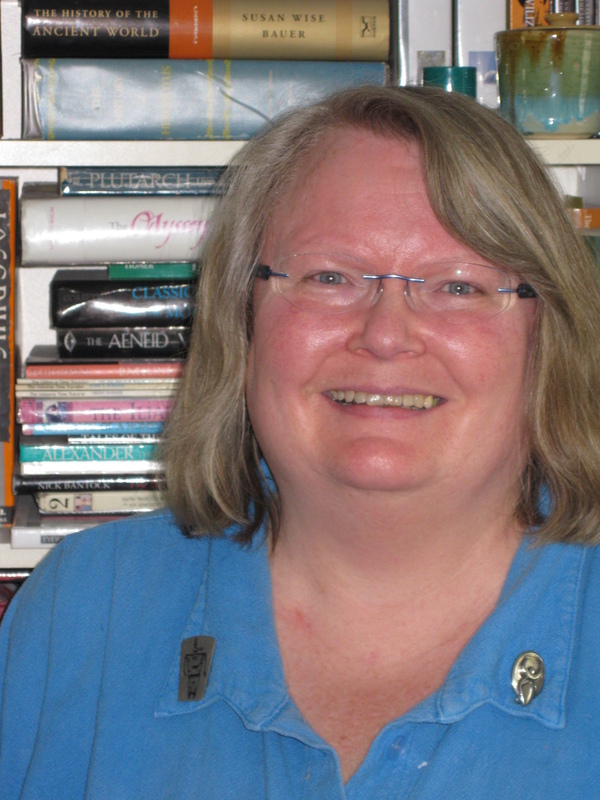 However, I am well educated through academia, informal training, and extensive self-education, including receiving training in counselling and post-trauma support when I was the Director of Education, then Executive Director at the Sexual Assault Center in London, Ontario in the 1980’s and 90’s. 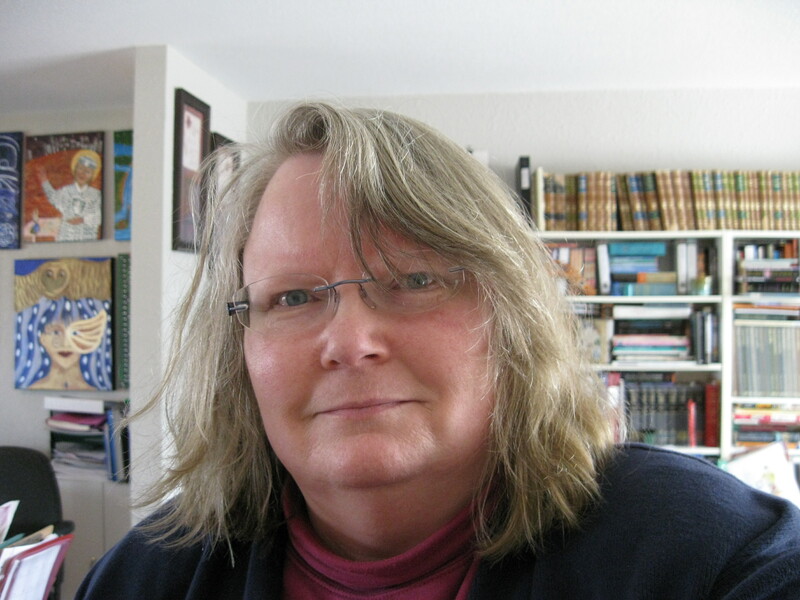 Most recently, I’ve completed the 5 years’ training in Dr. Clarissa Pinkola Estes’ “Mysterium: Psychology in the Truest Sense of the Word”, a condensed overview of Jungian psychoanalysis for helping professionals, as well as continuing to study intensively with her each summer. 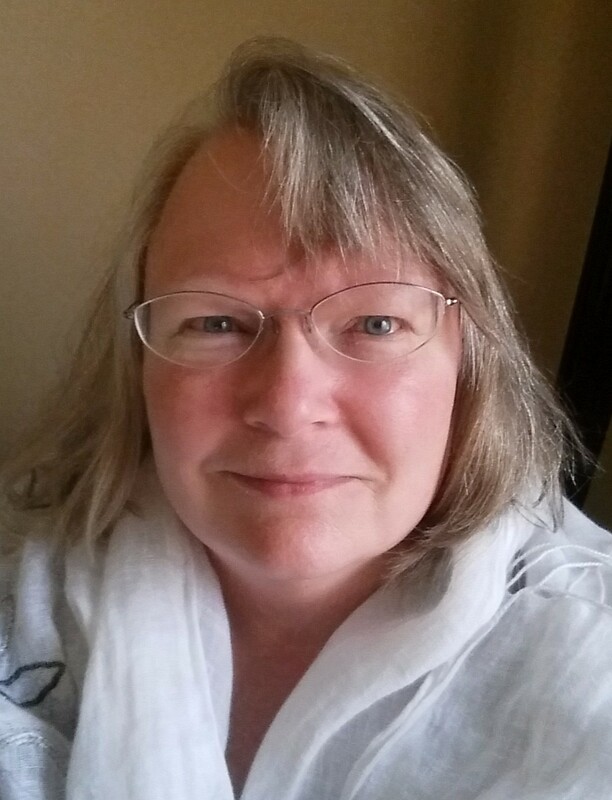 I have over 35 years of experience in education, counselling, and spiritual exploration, with a B.A. in theology, 4 years of graduate work in theology, an M.Ed. in Feminist Studies and Adult Education, and a post-graduate certificate in Management in the Not-for-Profit Sector which has brought me increased skills in project planning and management. In 2015 I was certified as a Color of Woman Teacher and Intentional Creativity Coach. I am an ongoing student of the Wisdom Traditions of the world, and I have lived creatively for 25 years with chronic pain and illness. Also, I do know my own limits, and some issues are best addressed with a wise person in your own community. I will refer you to that option if I ever feel it would be beneficial or needed. Contact me by email and tell me what you’re interested in exploring, whether it’s one of my regular offerings (a modified version of my in-person small groups), a particular issue or question, or something else in particular. I will respond with a choice of appointment times, help in discerning how we will proceed, and with a list of needed supplies that you will gather before our session. Most supplies you will already have around the house, or they can be purchased at a dollar store or craft store. As soon as an appointment is booked, I will send you an invoice through Paypal, which you can pay through credit or debit card. Sessions including some creative processes are approximately 90 minutes in duration — but reserve 2 hours so that we are not rushed. Each session is $100 USD. Many times it’s very advantageous to work together over some months, so I offer the option of three sessions for $250. Sessions must be paid in full in advance of our session, with my guarantee that if I cannot make the appointment you will receive a full refund, or we can reschedule. If you are not wanting to engage in a creative process and want to limit the session to talking only, you may opt for an hour session at $75 per hour. If we cannot meet in person in my studio, we meet either by video conference on your computer, or by telephone. I do not use Skype for video, but use three other options: Google Hangouts, Facebook Messenger, or www.talky.io. I like using talky.io because you do not have to have anything other than an email account and your computer’s camera and mike. There is no software to download. How it works is that at the appointed time you would receive an email invitation from me to join the conversation. You click on the enclosed link, and we’re connected. I recommend that you use a computer rather than cell phone so that you have both hands available for the art processes. You will have all of the suggested supplies available and ready so as to make the best use of our time together. Arrange to not be disturbed during our session, and I request that you turn off your phone during that time, as well. Remember, this is not a pre-recorded video, but a live session that is a gift to your psyche and soul — though you are in your own space, try as much as possible to create a special sacred environment for yourself in order to participate fully and deeply and to incorporate all that the experience offers. I prepare conscientiously for all of my sessions, while also committing to being a hollow bone for wisdom and spirit to move through. Energetically, it is demanding, needing me to be as sensitive, well rested, and attentive as possible. Yet I consider it a deep privilege to do this work. How fortunate we are that we can meet together without the limitations of geography! This is using technology as a sacred tool for creative and spiritual growth and connection. Thank you for entering into this exchange with me. I love working with others in this way, and consider it a deep privilege and a stepping onto holy ground with you. Letter from your Muse: After creating a colorful portal on watercolor paper, I lead you on a visualization to meet your inner muse. You draw her outline onto your portal, then “give her the pen” to write yourself a letter from her, that is, from your source of creativity within. Soulful Story Cards — Transforming the Critic’s Voice through Color and Language: Create personalized cards from watercolor paper that carry positive intentions based on your personal stories, challenges, and recurring thoughts. Includes visualizations, writing prompts, and some color theory. The Life I Long to Lead: Create personalized cards from watercolor paper that mirror and affirm the way you want to live and the things you want to accomplish. Includes visualization, writing prompts, and some project planning. How Did It Get So Confusing? Navigating a Faith Crisis: Inquiry and exploration for those whose relationship with their faith is causing pain or confusion. My own experiences of crisis and inquiry have helped me to guide others to their own deepest questions and next steps. We will explore adult doubts, pain, anger, and sorrow with a view towards (eventually) finding a faith of our own to live into. We will write or art in response to prompts. Creating with the Tree of Life: Based on Tree of Life teachings on the Four Worlds of Creation, this is a way of understanding and planning a project from conception to completion. Create your personal diagram/painting on watercolor paper. Includes teaching, pondering, writing, and painting. 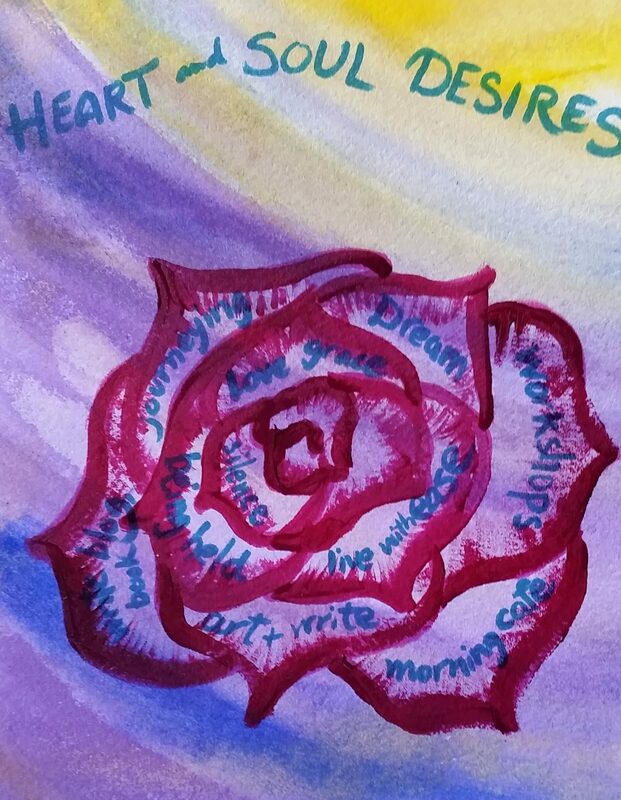 Home of the Heart: Working with writing prompts and arting around the idea of home, belonging, and where we find rest, nourishment, and nurturing. Where is your ideal home? Are you living here now? What can you do to feel more at home right now, in this life, in these circumstances, in this community, with these perfectly imperfect particular people? Includes teaching, pondering, writing, and painting. Gathering the Shards, Restoring the Light into the Shattered Spaces: Where has your life been broken into pieces? Illness, loss, despair — how can we gather whatever light there is, and remake a Holy wholeness? Create a simple art piece based on the Kabbalistic story of the Divine Light being shattered into shards that now permeate our world, with our task to gather these shards to make the Holy visible. Includes teaching, pondering, writing, and painting. Walking in the Dark — Finding, Questioning, Claiming, and Following Our Intuition, based on the Vasalisa Story: We will explore Vasalisa and Baba Yaga as told by Dr. Clarissa Pinkola Estes in her book Women Who Run with the Wolves, creating simple artwork on watercolor paper out of our discussion. Includes teaching, pondering, writing, and painting. What’s in Your Medicine Basket? Claiming our particular gifts and talents for service and abundantly creative living, right here in now in our lives as is. Includes teaching, pondering, writing, and painting. 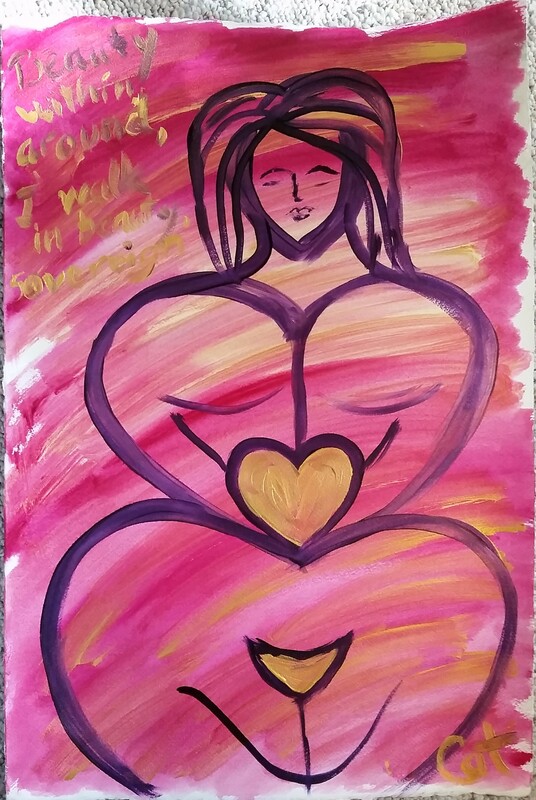 Sophia — Wisdom Within: Explore the idea of the Divine Feminine within yourself. What might she say to you, here, now? Includes teaching, visualization, pondering, writing, and painting. Bluebeard — the Predators around us and within us: Where there is beauty, there the predator arrives. Explore the forces around and within us that drain our energy, beauty, and creativity through the story of Bluebeard as told by Dr. Clarissa Pinkola Estes in her book Women Who Run with the Wolves. 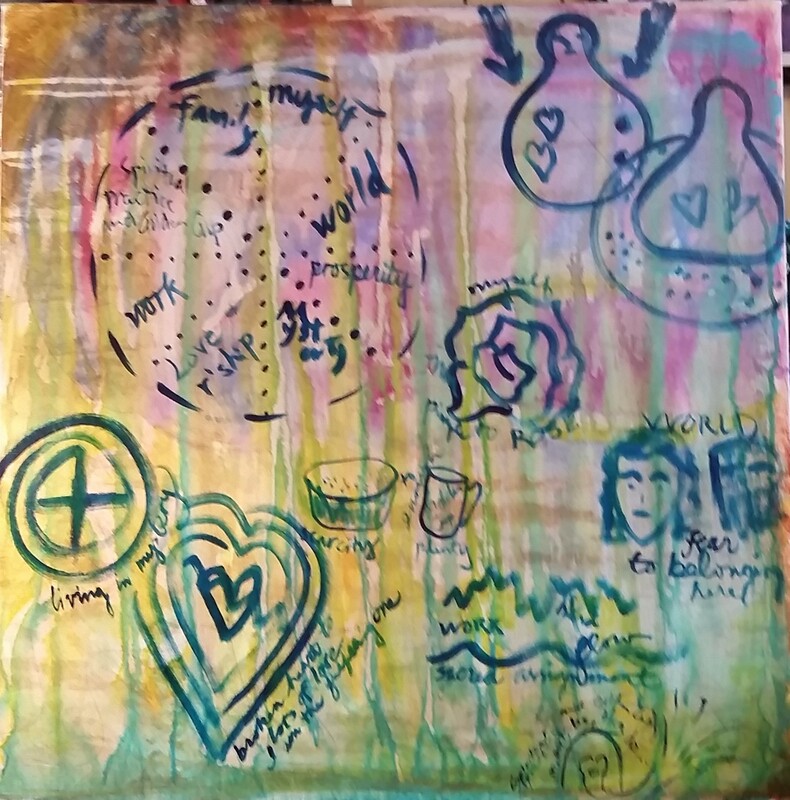 We will represent and then transform these energies using prompts and simple art processes, including forming practical strategies to bring these ideas into daily life. Harvesting Our Lives: Through writing prompts, guided journeying, simple painting, and discussion, claim the abundance of this stage of our lives, acknowledging the gifts and the learnings, the surprises and the depths. We will also preserve this harvest for the future in paper, image, and poetry. Who Lives in Here? Holding Space for Ourselves: Are you at home in your body, your psyche, your life? Do all of the different voices within you have a say in how you live out your precious life? Can you listen to the voices who aren’t saying what you want to hear? 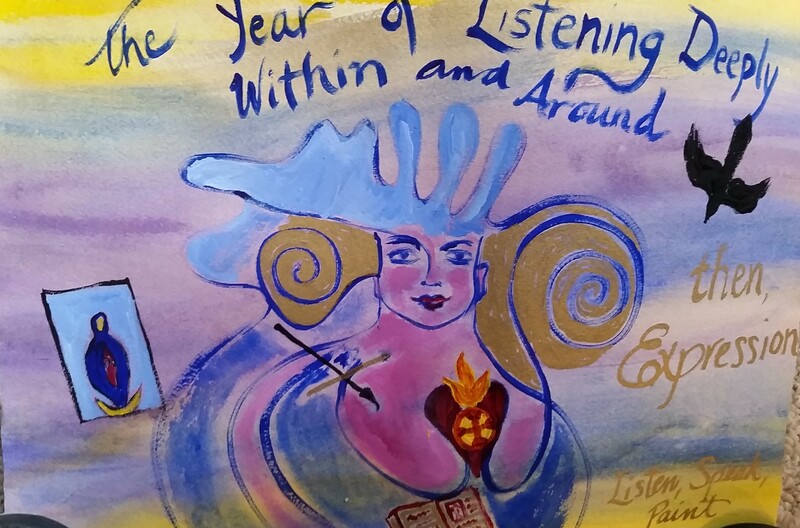 Through word, image, and collage create a few Soul Cards of our voices and paint an internal home in which these voices can be held and welcomed within. A Gift Unlike Any Other: You will have the opportunity to create three different kinds of personalized TRIBUTE GIFTS, hand-made gifts of paper, cardboard, word, and image created specifically with a loved one in mind, to honor and encourage them: an Intention Box, Appreciation Booklets, and/or Soul Cards. Tree of Life, Spheres of Light — an introduction to an ancient mysticism: Through teaching, pondering, writing and arting prompts, create your Tree image on watercolor paper, based on Kabbalistic lore on the Divine pouring Godself into this world, held in the mystery of a Tree of Life.